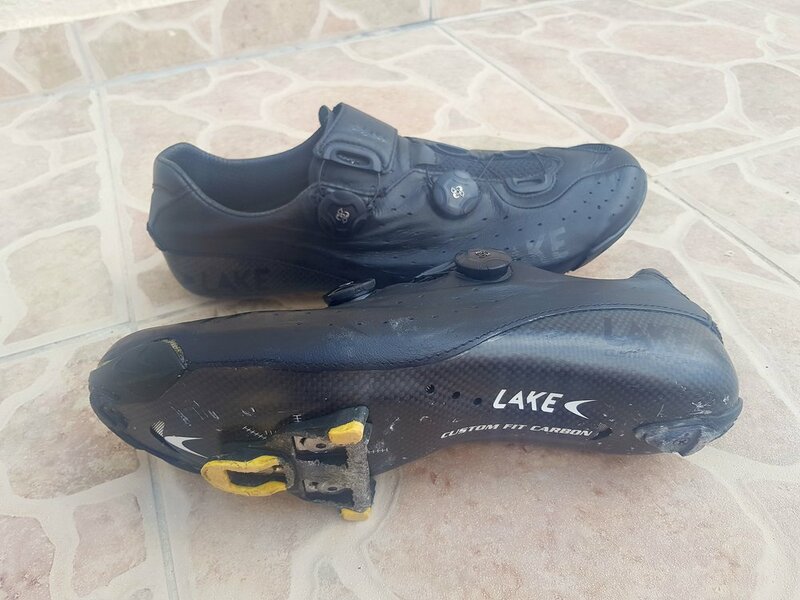 The Lake CX402 is a road shoe designed with a narrower fit and lots of customisable features to give you that extra advantage on race day. As well as the performance of a top class shoe, Lake also offers custom colours if you want to coordinate your new shoes with your race day kit. I took my slealthy black CX402's to Europe last month to put them to the test in the hills of Cyprus. As mentioned previously the shoe design is built for the race day rider in mind, but don't be fooled this could be a shoe for anyone! It features a narrower toe box and heel cup in line with a more sleek and race ready shoe, although with it's narrower overall design I feel it has a less aggressive taper in the toe box compared to the Shimano S-Phyre RC9. That little bit of extra room in the end of the toes made for a much improved difference on those longer rides and climbs where power is more constant and you have a risk of your foot going a bit numb. The CX402 looks comfortable, this in part is due to Lake's K-lite kangaroo leather upper, known for it's suppleness, durability and relative light weight. Combined with the double BOA closure system you can really dial in a fit that works for you. 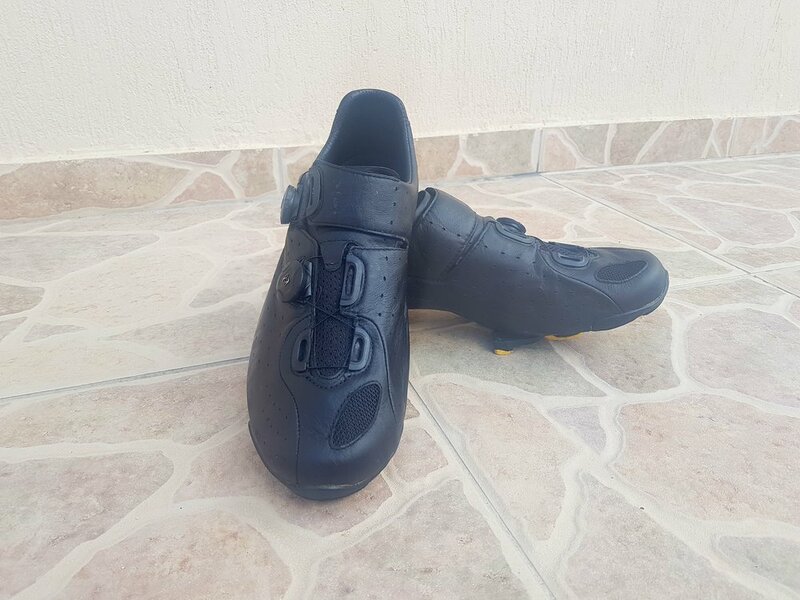 The super soft upper made for a very comfortable fit on the longer days in the saddle, while the full carbon sole is very stiff and gave excellent power transfer in and out of the saddle. The only potential drawback to note is that the BOA closure system cannot be micro adjusted in both directions. If you have over tightened you need to loosen the BOA and re-tighten the shoe. The CX402's have a custom carbon fit sole and designed to be specific for you. 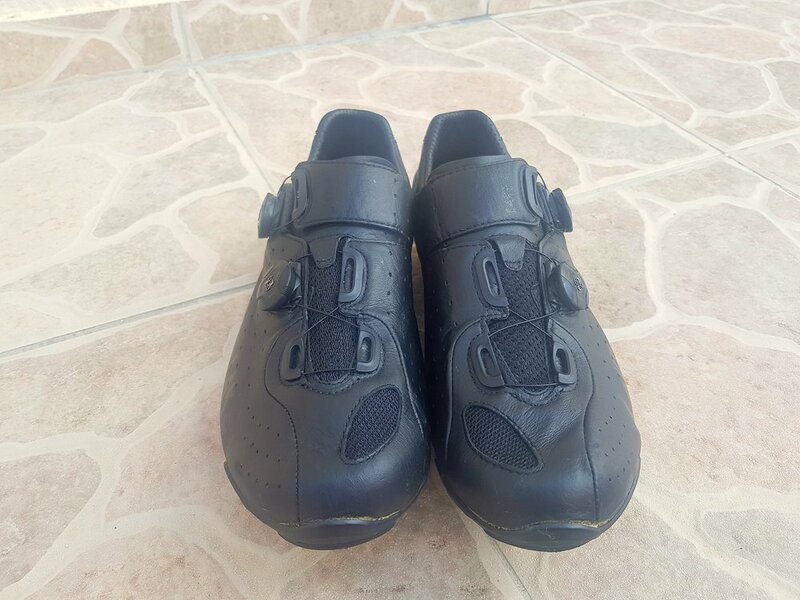 I went to the local dealer to get the size right, before customising the shoes at home (my fit was the same size as Shimano). 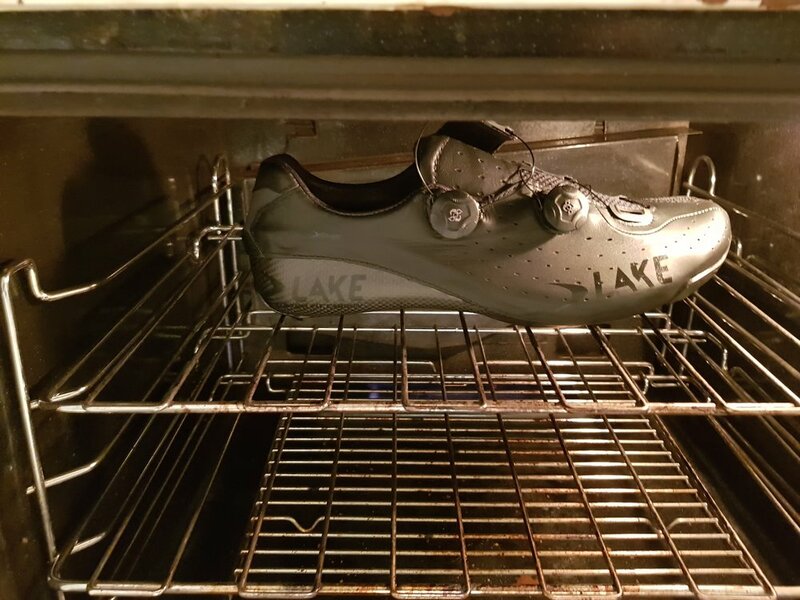 To get molding, just pre-heat the oven and pop each shoe in separately for 5 minutes to soften the carbon heel cup and its surrounding area, and these shoes are ready to be molded to the essential contours of your foot (Lake heat molding guide here). Loosely tighten the BOA and wait a 15 minutes, it's really that simple. They can be molded again if you have any issues, but I managed to get them sorted in one go and have not needed any additional adjustment. I began my journey with the Lake CX402's in the hills of Cyprus. I rode 6 days in a row during my stay, which is a first ever for me, so I got to know the shoes pretty well (and didn't have any other shoes with me). I was impressed from the first pedal stroke, they rode as well as they looked, partly due to the soft upper but also getting the customised fit right in the first instance. I had no sore points on the foot, no numbness or hot foot to report of on any of my longer, 30 degree plus rides. By the end of the week I felt like these shoes were a pair I'd owned for a while and worn in to perfection. The performance was second to none (expected of a high end race shoe with this price tag), but in saying that I have worn many performance shoes before that have struggled to combine a customised, comfortable fit with performance. I could see many riders being happy with this shoe whether you are a competitive racer or not. The only concern for some would be justifying the price tag. At $500 this shoe is at the top end of the market, Lake does have the CX332 option at $100 cheaper and others beyond that model. Although the CX402 is pricey, nothing about this shoe is cheap, it really does feel like the premium choice! The design, comfort and performance are unrivaled and warrant the high end price tag attached. I think shaving off a little bit of weight would be nice addition, as long as it didn't compromise the fit. Should you buy them? If you fancy a splurge or a high end shoe that is totally customisable for any type of rider you can't go wrong here. I'd fancy another pair customised in my race day colours. You can check out Lake's Australian distributor, FRF Sports, for details on Lake's products and find your local Lake dealer there.